We’re suppliers of office coffee vending machines for all types of workplaces; call us on 01324 617618 to talk about how good coffee helps in any office. From offices with 5 people or less up to corporate offices and headquarters buildings, banks and insurance companies, government departments and shipping companies or design agencies, staff always enjoy good coffee and the morale boost that the taste, caffeine and aroma brings them in their working day. 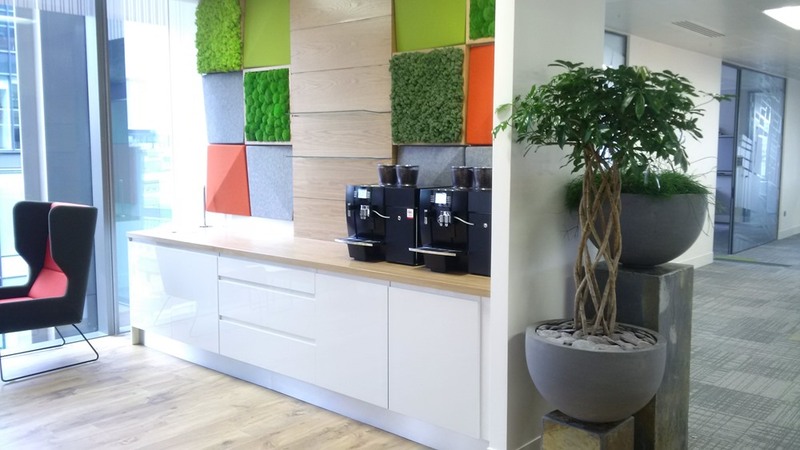 We appreciate the importance of high quality office coffee vending machines and have a range of coffee machines to suit all office environments and many years of experience in advising clients in London and throughout the UK. 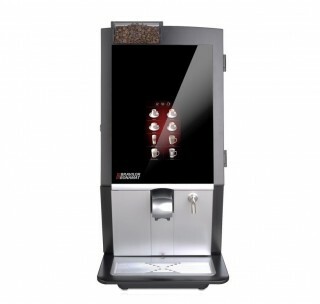 For smaller offices, a compact table top coffee machine will be ideal for your requirements. These machines are easy to use and clean, and operate with maximum efficiency. 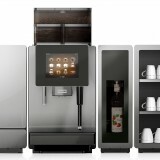 To cater to different tastes we have a range of both instant and fresh bean-to-cup coffee machines, offering anywhere between 20 and 400 cups per day. 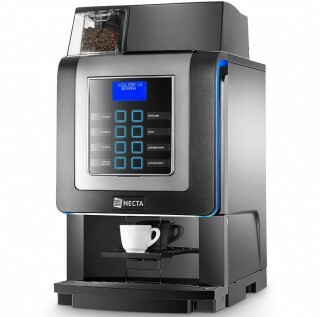 Good examples of smaller machines would be the Necta Koro Max Prime bean to cup coffee machine and the Keurig K150 Capsule Coffee machine. Instant coffee machines have the advantages of being quick and easy to use, whilst a bean to cup office coffee machine offers the customer a freshly ground and brewed espresso-based coffee. 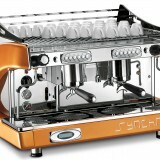 Both models are able to produce a large range of drinks like cappuccino, flat white, caffe latte, mocha and hot chocolate. For larger corporate offices and showrooms, table-top machines with a high output of drinks per day are available. If you prefer, Caffia Coffee Group can also provide high-output bean to cup machines like the Franke A600FM or the Franke FM750 FoamMaster or Jura Giga X8c Speed bean to cup machines. These machines have the capacity to produce 200-400 drinks a day, if the size of your workplace needs this. Do you have a lot of staff or visitor meetings? We have a range of commercial filter coffee machines for this and we believe that filter coffee brewers are the way to go for meetings and conferences in offices and workplace as they are hard to beat for straightforward mild fresh filter coffee in bulk. 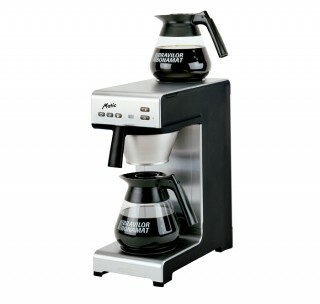 These office coffee machines brew either into a glass jug, stainless steel flask or pump pot and can be plumbed in to mains water or manual hand-fill. 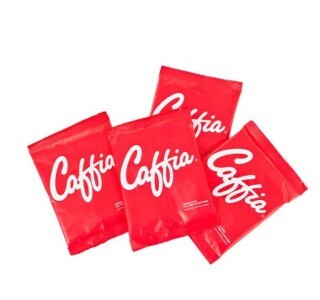 We have a range of 8 different fresh filter coffees in portion sachets so they are perfectly consistent when you brew. 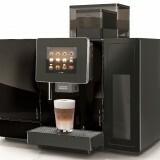 See our fresh filter coffees on the caffia.com website here. There is also a choice of water coolers and dispensers that can be fitted into your office’s mains water plumbing supply, in order to provide employees with quality chilled drinking water. Other useful products we offer for offices include fine bone china, flasks, pump pots, teas, fresh coffee beans, filter coffees, stirrers and hot chocolate. Situated right on the edge of the Square Mile and Shoreditch in trendy Clerkenwell is our ever-improving office coffee machines showroom which we believe to be unique… a comfortable and well-equipped venue, the Design Hub Clerkenwell has a whole range of bean to cup, capsule and filter coffee machines and fresh coffees to try in smart and relaxed surroundings – pop in sometime to 47 Gee Street, London, EC1V 3RS. Sales offices also at: Barnard Castle, Bodmin, Gloucester, Stafford, Peterborough and Aberdeen.